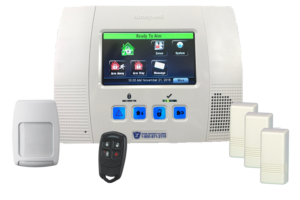 Get your very own *Free high-quality ADT monitored home security system! This package features a great touchscreen system to keep you and your family safe. Call now you can get your very own high-quality ADT monitored home security system including 3 door/window wireless sensors, Keyfob, and Motion Detector only for an installation charge of $99 (upfront cost) and purchase of alarm monitoring services. In addition, ADT has been around for over 150 years, which may surprise you. 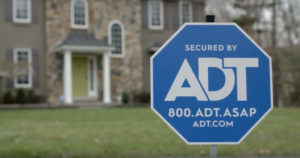 Furthermore, with these many years in the security industry, ADT has done nothing but provide the very best security service with now more than 7 million customers nationwide. How Much Does ADT Monitoring Cost? ADT monitored security offers monthly monitoring packages starting at $36.99 per month for 24-hour monitoring. Furthermore, you may be eligible for additional discounts on your homeowner’s insurance premium by having an ADT monitored security system installed in your home. Call now or fill out the form below for a free quote! With over 17 years of experience, Zions Security understands the importance of keeping your family and property safe and secure. In addition, Zions Security Alarms, ADT Authorized Dealer, is committed to helping you get the security you need. Fill out the form below or call us today at 1-800-871-2119 for a free estimate. Most people are choosing one of the options below. Particularly the ADT Pulse options where you can control the system and home from your smart phone. You can have up to 10 wireless cameras added to your ADT Pulse system. These cameras can record unlimited 30-second clips for one month when there is motion or another trigger. You can view live video to check on your home or business. There are indoor and outdoor cameras available. I am very satisfied with Zion Security because of good customer service, fair pricing, clean installation, the system works as designed. I am very confident to recommend Zion because of my own experience and I will transfer and upgrade my system to another residence in the future. I was very happy with the sale and installation. The technician who installed the alarm was competent, professional, and kind. We appreciated not having to sign a contract for long term use of the security system. The alarm system was easy to use.we would definitely recommend your company in the future." I chose to go with Zions Security Alarms because the pricing and options are better than other companies that I had previously called. "You answered my questions, and questions I didn't know to ask. You were very easy to deal with and the price was fair. And yes, I spoke with (3) other companies. Jacob from Zions Security spent a good amount of time answering questions and explaining the features to me. He made me feel very comfortable. His installers were thorough and went over everything in detail. They did not leave until I felt at ease with the system. I am highly recommending Zions Security to my friends and neighbors. I was pleased to see that not only was Zions a long established local company but, had earned an "A+" from the Better Business Bureau! Jake made the process simple, and painless!He had a tech out within 3 hours of my call! …My installation technician was courteous, friendly, and efficient! They say you can't buy peace of mind..you really can! I'm 55, live alone, and no longer fear things that "go bump in the night!!" My system is excellent, affordable, and very user-friendly!! I feel totally safe for the first time in my new home!! Thanks to Jake and Zions Security Alarms! I must say that I do feel more secure having a system in my home…for that…I thank you. I spent a good amount of time searching the internet and calling several security firms. After, I was convinced I wanted to work with Zions Security Alarms. They were straightforward and answered all of my questions promptly. They showed a genuine interest in a desire to get my business. The technician was professional and watching him convinced me this was not the type of job a "do it yourself-er" should undertake. Having a local dealer you can call is most important. In doing my research I contacted 4 different alarm companies. Zions Security was by far the most honest, knowledgeable and professional. Jacob Menke answered all my questions and had the experience and knowledge of security systems I was looking for. On a scale of 1 to 10 with 10 being the highest, I would Zions Security a 10. I would strongly recommend Zions Security to my friends and neighbors because I know they would be treated honestly and get a great product and service for their money. Zions Security installed a home monitoring/security system in our home earlier this week. The installer showed up on time and was in and out in about three hours. He did a nice job installing the system, cleaning up after himself and explaining how to use it. He was a good guy. Very competent. My wife and I feel much better with our security system and we're glad we used Zions. I highly recommend them. I really wanted to thank [Zions Security Alarms] for being such a pleasure to deal with and going above and beyond to help me with the purchase of my grandmother's alarm system. Because I used to work in the industry I knew that I would be difficult. The staff made me comfortable in knowing I made the right choice. I couldn't be more satisfied. I would recommend them to others first for their friendly service and second for the fact that if you go directly through ADT you can't get the deals [Zions] can offer. I chose [Zions Security Alarms] because they were willing to be on the phone with me for 20 minutes of whatever it took and talk me through what I should buy and what the options were. And you explained it well. I really like your installer. He did a careful job and the system works as installed. If you are in the market for a home security system Zions Security Alarms is definitely the way to go. I was searching for quite a while when I got an over the phone quote from Jake. He was VERY thorough and extremely fair. When the technician got to my home there were no hidden fees, every was exactly as I had been quoted. I actually added a motion detector! Give them a call, you will be very happy. I chose to go with Zions Security Alarms because there was no hard sell, they met any competitors price, they are local and very pleasant to work with, and when I telephoned their office real person answers and sees that you get the information you need. The installer was friendly and did a good job of walking me through the steps to use the alarm. I am very satisfied with the product, service, and staff in the company. I spoke with Jake to determine our needs for security and home automation. Once the system was configured, he quoted a price for the system as well as the monthly monitoring. He arranged for the installation on a date convenient for me. Tyson arrived at the time scheduled and completed the installation process professionally and in a timely manner. I would highly recommend Zion Security Alarms. Patrick was great and he spent the time to get it set up. I would recommend Zions Security Alarms. 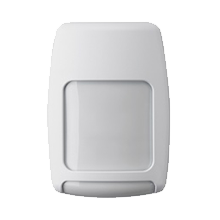 This is the standard ADT wireless door or ADT window sensor that’s compatible with Honeywell or Safewatch Pro ADT Alarm Panels. If you’re not sure if your panel is compatible, read this blog post about how to identify your panel type. Buy Now. This Wireless ADT Motion Detector is pet immune up to 80lbs. This motion needs to be programmed and can only be added if your panel has room for another wireless zone) It is compatible with all Honeywell Wireless compatible panels. Buy Now. ADT Keyfob four-button remote that is compatible with Honeywell or Safewatch Pro control panels. (Quickconnect, Safewatch pro 3000, TSSC) If you are not sure what type of panel you have, you can read this blog post. You need to have wireless zones available if you want to add this. If you just need to replace one that you lost we can just use those same zones. Buy Now. The ADT Wireless Smoke Detector is one of the best additions you can make to your security system. 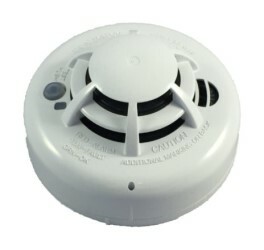 If your system is monitored for burglary it can now be monitored for fire just by adding this part. Buy Now. 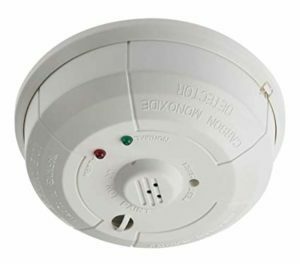 This is a monitored carbon monoxide detector. It is connected to your security system monitoring so that if it goes off your monitoring station (ADT) will notify you and get help. They are known to save lives every year and is recommended for every security system installation. Buy now. 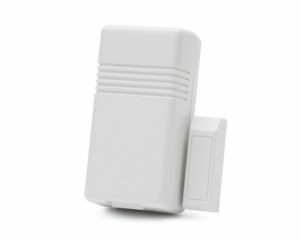 Wireless ADT Glassbreak Detector monitored by ADT offers uncompromised performance and unmatched false alarm immunity. The processor uses an Application Specific Integrated Circuit (ASIC) – processing sound data in parallel rather than sequentially. Buy Now.